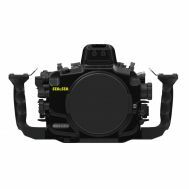 Machined from solid block aluminum for ultimate precision, ergonomics and performance, the Sea and Sea MDX-D7200 for the Nikon D7200 and D7100 DSLRs is small and well-balanced. 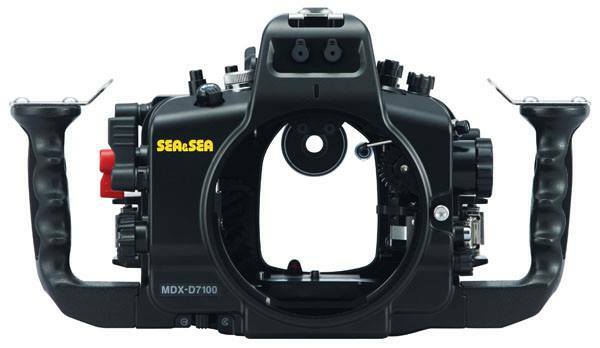 Machined from solid block aluminum for ultimate precision, ergonomics and performance, the Sea and Sea MDX-D7200 for the Nikon D7200 and D7100 DSLRs is small and well-balanced. The Controls are easy to reach and now include the easy to use multi-controler. Legendary NX port selection for nearly every lens you'd want to use. 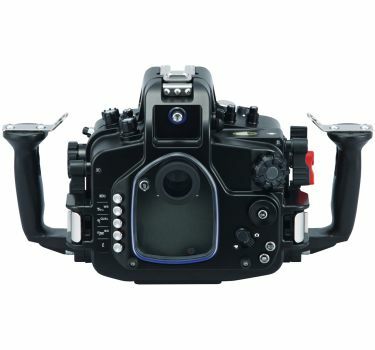 Depth rating of 100m / 330ft makes the housing ideal for tech diving. 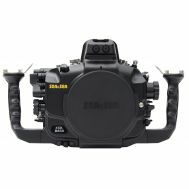 Optional Optical TTL strobe controller for Sea & Sea strobes can be built into the housing making strobe ev power adjustments right at your fingers. Equipped with two fiber-optic cable sockets. 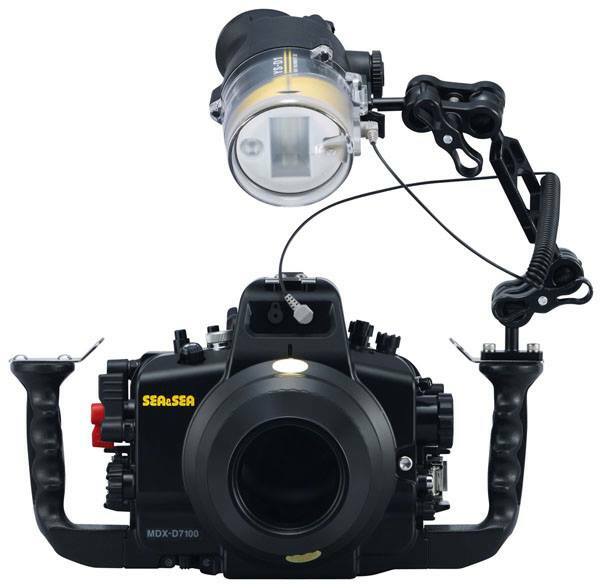 With the camera's built-in flash raised and fiber-optic cables fitted, external strobes can be triggered as ‘slave units’ by the built-in flash. Every detail of the housing is precision machined. 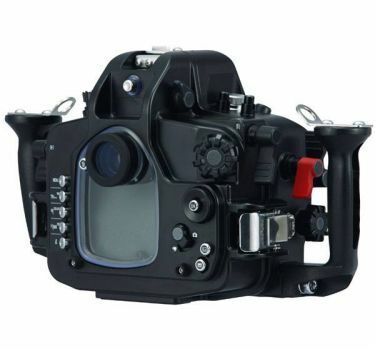 The housing is protected by a highly corrosion resistant anodized coating. All edges have been polished carefully for perfection. 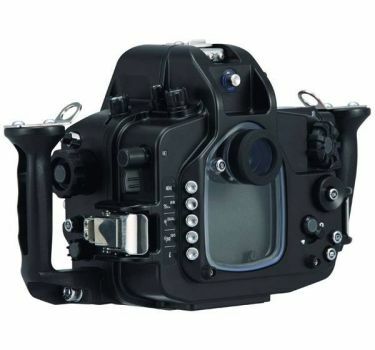 Controls all the Nikon D7200/D7100 essential functions underwater. (Bracketing button, preview button and function button are not operable from the housing) . 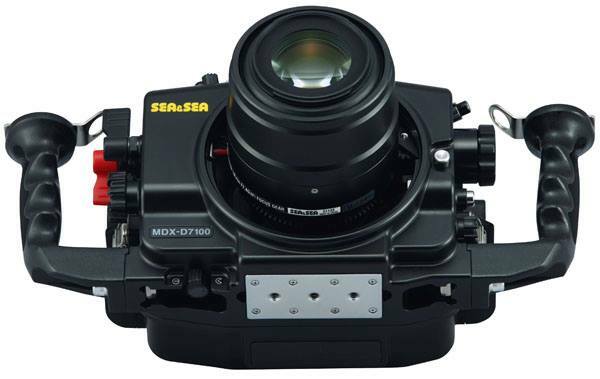 The multi selector (which is often used underwater) is the same design as the camera control and can be operated in the same way. AF areas and Focus points can be changed by depressing the selector. 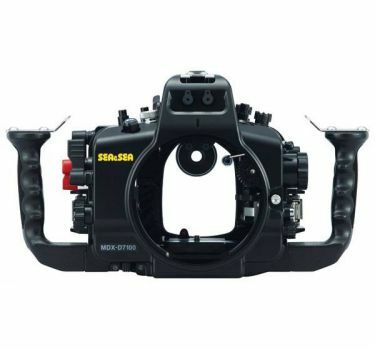 The multi selector control is located so that it is accessible with your hand on the grip. 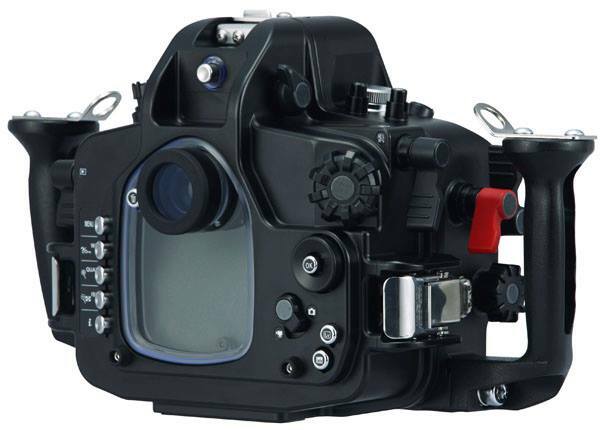 The camera's built-in flash can be activated and deactivated from the housing. (When the accessory light-shielding plate is fixed, this function cannot be used). Equipped with Accessory Port which can be used for HDMI output. The grip design has been significantly improved with the traveling diver in mind. The grips are mounted with threadless fixings to facilitate easy transportation, mounting and removal of the grips. The new design also alleviates corrosion build up around the fittings. All fixings are available as spare parts. Fitted with a tripod socket on the center underside of the housing. Equipped with the Optical Viewfinder 0.5x as standard. 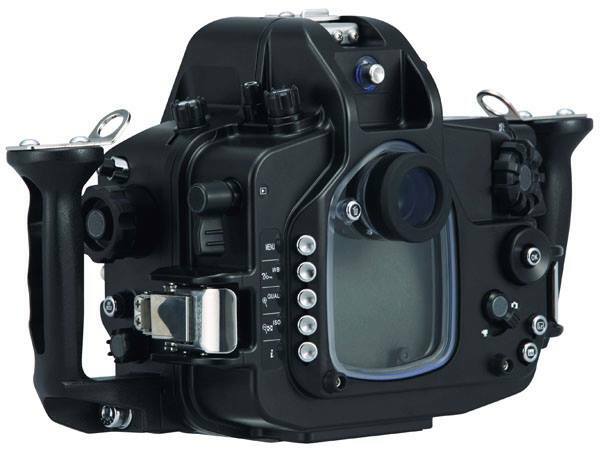 Other (optional) interchangeable viewfinders can be used. 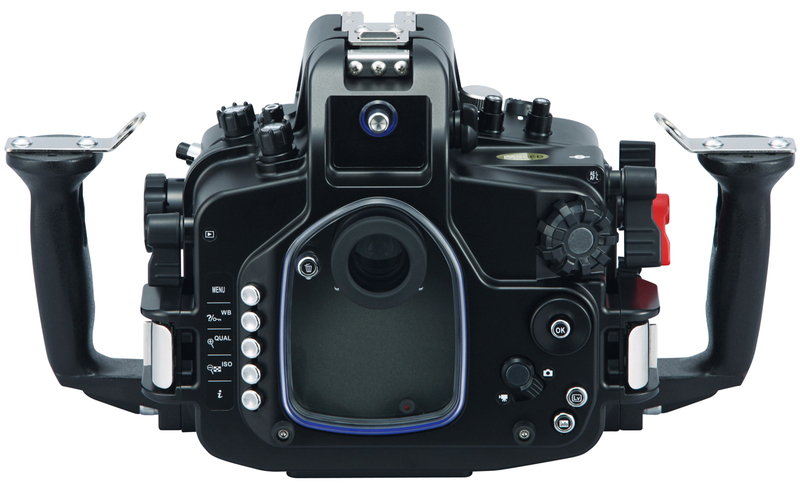 The quick shoe makes the camera easy to install and remove from the housing. Built-in leak sensor immediately alerts you to water ingress. 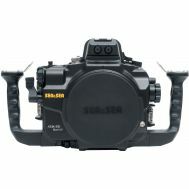 Depth rating of 100m / 330ft makes the housing ideal for tech diving. Port lock can be now activated from outside the housing. 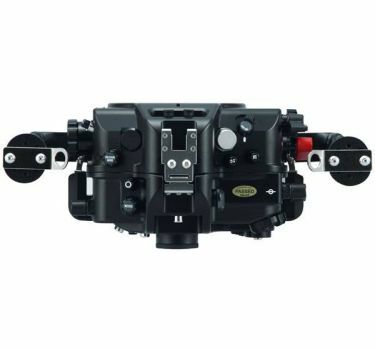 The housing is also equipped with a ‘lens-lock release’ button which allows the lens to be replaced without opening the housing. The port lock can also be activated from inside like previous SEA&SEA housings. Optical YS Converter N can be built into the housing. 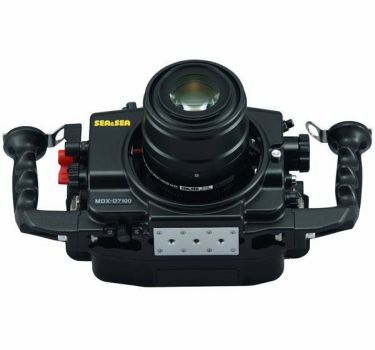 Compatible with new Optical YS Converter N (#50126) which converts the camera’s TTL signal to a light signal. 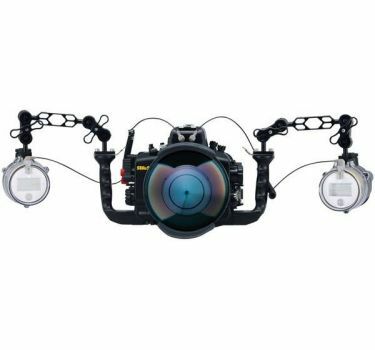 Both TTL and manual strobe photography is possible using a fiber-optic cable.